If your website could do just one thing, what would it be? Many people start with color schemes, fonts, and layouts when they are planning their website. Goals and objectives should be your starting point. Before you start to develop your website get clear on what you want your website to do, then create a design that works to implement your goals. Your website should serve a purpose besides looking pretty. That purpose may be to generate leads, gain readers or build subscribers. It could be to sell products or services. Or, you might want to establish credibility for yourself or your organization. Whatever that purpose is, your design must focus on fulfilling it. What is the one thing I want people to do when they land on my website? What is the main goal of my website? Why do I want a new website? What do I want my website to accomplish? How will an online presence help my business grow? Be as specific as possible. Do you want to increase traffic by 50% in 6 months? Add 1,500 new subscribers to the newsletter over the next month? Increase sales of X product online by 60% over the next year? Think about your target audience and what you want them to do when they land on your site. What do you want your website to do for them? What does the success of your website look like? 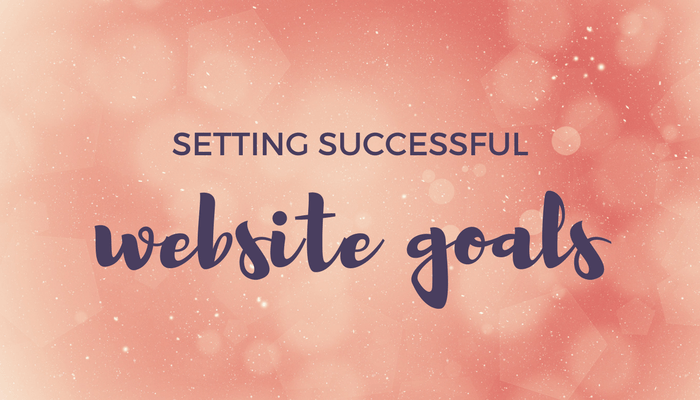 Pick one main goal for your website project and 2-3 supporting goals. Limiting the scope will allow your website to be more focused and effective. A website that tries to do many things often does all of them poorly. Once you know what your goals are then they can be incorporated into the design decisions on the website. The website strategy for someone who is selling products will look different from the strategy for someone who wants to fill their live workshops. If you are trying to fill your live workshops the #1 goal of your site would be to turn a new lead or website visitor into a subscriber to your email list. Why? So that you can communicate with your audience, build a trusting relationship and encourage people to sign up for your live workshops. More specifically your goal might be to grow your mailing list to 2000 subscribers in six months. In that case, the one thing you want people to do when they land on your website is to subscribe to your email list. When you design your site you will need an opt-in incentive with a "freebie" to encourage people to give you their email address. Why? So that you can build your audience, have a following and be known for your workshops. If you have a big mailing list you can communicate with more people directly and personally by email to promote your workshops and encourage them to attend. Defining your goals first will drive the rest of your website strategy. Your goals should be at the heart of all the decisions that you make for your site.